Vauxhall has announced that it will be bringing OnStar to its cars in 2015. 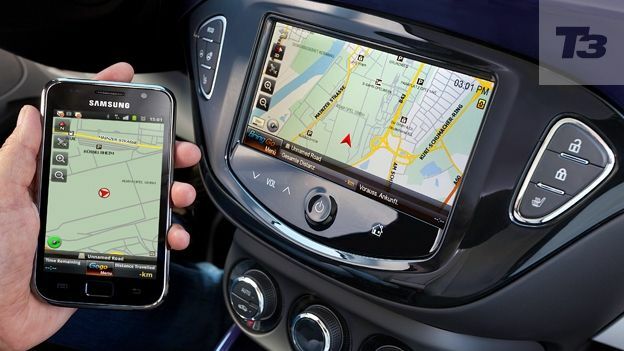 The in-car connectivity and security service will be paired with Vauxhall IntelliLink to directly compete with Apple CarPlay. Unveiled at the Geneva Motor Show, Opel/Vauxhall CEO Karl Thomas announced that the service would give drivers access to services like remote control connectivity via their iPhone or Android smartphone. OnStar also brings 4G connectivity to the car allowing the vehicle to become a 4G WiFi hotspot for any device, it also lets you connect instantly to a live operator should anything go wrong or you need assistance. This is then paired with a new 7-inch touch screen IntelliLink interface which lets you connect apps on your iPhone and then mirror them through the car, whether it's a sat nav app, weather app or music player. IntelliLink first appeared on the Vauxhall Adam but the company is now rolling out the smartphone-powered interface across its entire range of cars including the Astra, Insignia and Corsa. OnStar, already a huge service in the US and China has so far been absent from the UK and Europe however its expansion means both Google and Apple will have another competitor if other car manufacturers decide to go down this route.